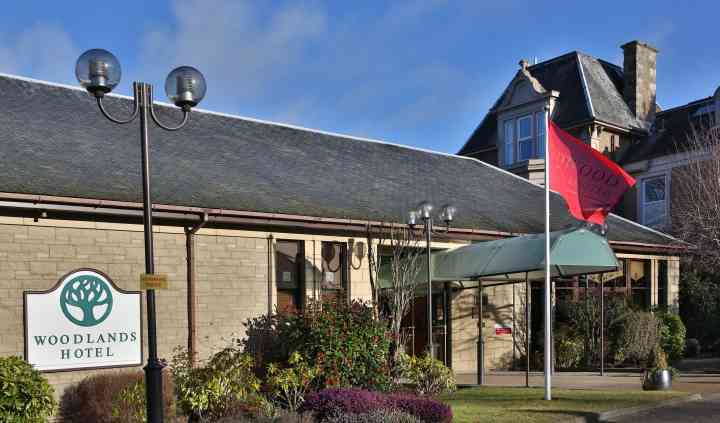 The Woodlands Hotel nestled in a well-established residential area close to the seaside village of Broughty Ferry. The hotel is just a 15 minute drive from Dundee City Centre, Railway Station and Dundee Airport, which makes travelling so much easier for you and your guests. Residents are free to use the leisure facilities and gym. There is also an in-house masseuse. 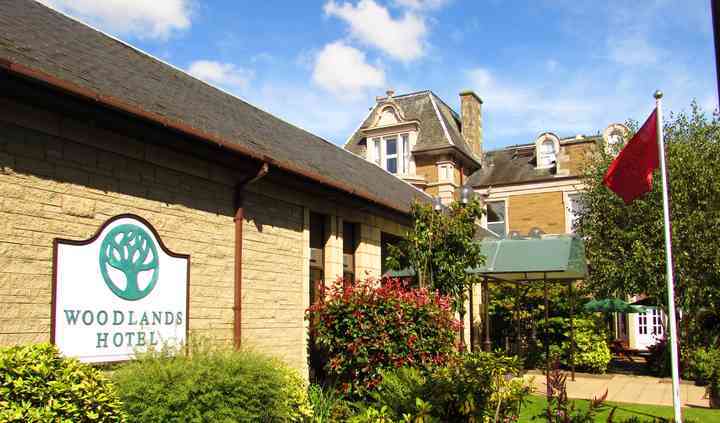 Woodlands Hotel are happy to cater for weddings of up 120 day guests and 170 evening guests. The hotel Ballroom is perfect for weddings and can be partitioned if required. You will have your own bar, cloakroom and powder room here. With a great sprung dance floor, you can have a wonderful ceilidh or dancing with DJ. As part of the old Mansion House, The Wyldes Restaurant contains many original and decorative features that will offer the air of enchantment to your celebration. An expert staff with vast experience guarantees to give you the very best in care and a celebration that will be timeless. They consider it a pleasure and a privilege that you should decide to hold such an important event of your life in their hotel. Their packages offer you all that you could need from the ceremony to meal, evening entertainment to laying your head down in the most comfortable beds imaginable after a night of celebrating. 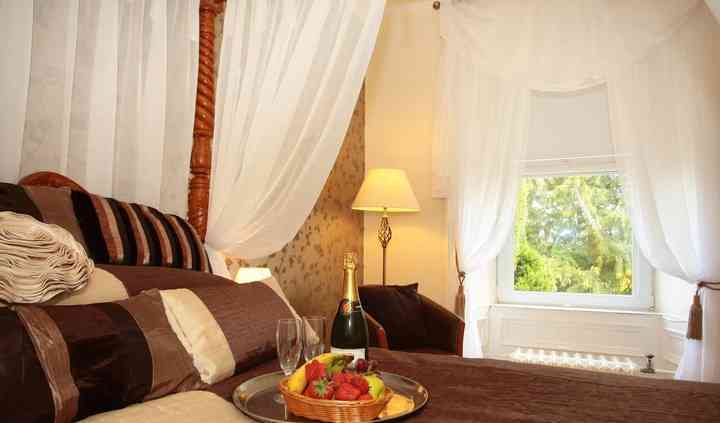 The Woodlands Hotel offers 65 beautifully furnished bedrooms. With the addition of the brand new Abercromby wing, they are delighted to offer disabled access rooms and lifts, family interconnecting rooms and spacious king or twin rooms.